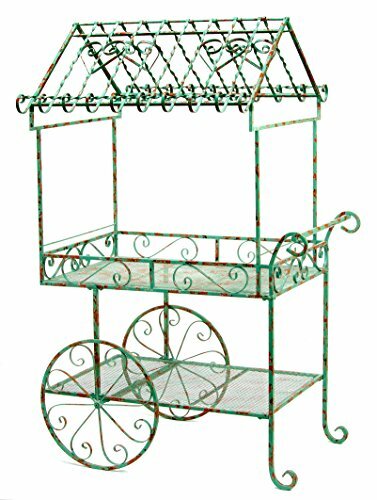 Deer Park Ironworks' large flower cart in teal blue, will be an attractive addition to your outdoor gatherings. The classically scrolled design work of this very substantial cart can showcase your favorite annuals or act as a serving cart for your party guests. The heavy duty canopy is designed to support multiple hanging baskets. If you have any questions about this product by Deer Park Ironworks, contact us by completing and submitting the form below. If you are looking for a specif part number, please include it with your message.